Last year, Blizzard released the limited time co-op "Uprising" event for Overwatch. We had mixed feelings on the matter so we were a bit skeptical when it was recently announced that a new limited time co-op event, "Retribution," would be arriving this month. Turns out Blizzard really did learn some lessons from the last go around and this new event has some good hooks in it for all you co-op enthusiasts out there. 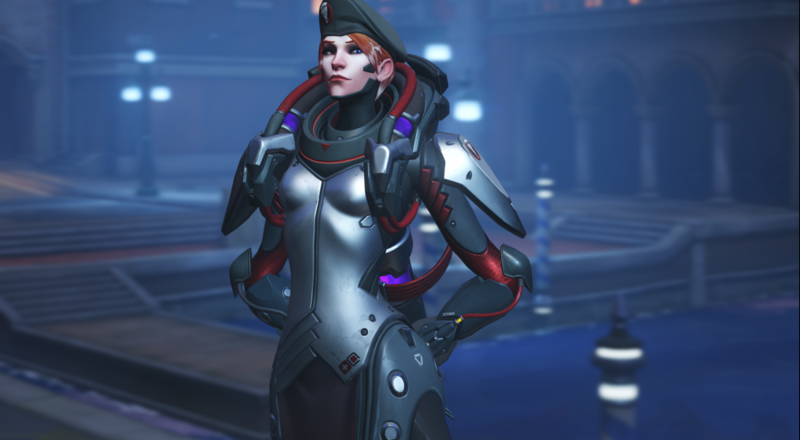 The quick backstory to "Retribution" is Blackwatch, the covert ops (and plausibly deniable) portion of the Overwatch peacekeeping group, was tasked with a mission in Venice, Italy eight years prior to the events of the current game. Things go bad (shootout in the streets ala "Heat" bad) and the team, comprised of Genji, McCree, Moira, and Gabriel Reyes (who later becomes "Reaper"), have to fight their way through Talon forces to get to an extraction point. While the various objective beats, i.e., survive for a fixed period of time in this one part, are the same each time you play, the enemies themselves act a little more, well, like enemy soldiers than we previously encountered. They appear to make use of the ample cover that's scattered around and move in formations. There are even new special units that are reminiscent of the special enemies in games like Left 4 Dead and Vermintide 2. All in all, we enjoyed our time with the mode and some of us are even feeling the pull to hop back into the hero shooter for a bit. Overwatch is available on PC, PlayStation 4, and Xbox One. The "Retribution" event is available on all platforms until Monday, April 30.